When starting up your business, you will require at least some basic IT infrastructure like a couple of PC’s and monitors on which your employees will be able to work. However, with the rising costs of the latest technology and equipment that businesses use nowadays, you will have no choice but to manage with a small computer network or opt for outdated equipment to curb your expenditure. However, even if you have the necessary funds to purchase elaborate equipment for your business, you will get stuck with the headaches of maintaining it from time to time. Fortunately, the advances in technology have also revealed a brand new way in which you can provide your employees with the necessary equipment they need to work without having to purchase it. And this is through the use virtual Cloud IT Solutions. With this option your employees will be able store all their work related files on one single place, such that they will have just one source where they can access all the data. What’s more is that, you will not need to purchase additional hardware in order to store the substantial amount data that is used by the business on a daily basis. With the help of Cloud IT Solutions, all data can be stored on a virtual network through the use of a Hosted Desktop or Exchange where data can be easily stored and retrieved whenever required. You can also use this hosted service to share important business related information with your team of employees and they can also simultaneously shared information with you using the same hosted network. Therefore this virtual network will act as hub for exchange of valuable data and files which can be accessed at any time. 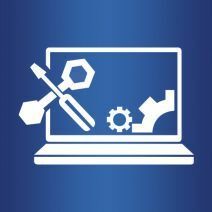 Moreover, the maintenance of this Hosted Desktop service is not a major task as you can hire the services of a managed IT service provider to handle this on your behalf. These IT technicians will even handle all the necessary servicing and upgrading of software which needs to be done in order to prevent server errors. Plus, keeping your data on the cloud through a hosted exchange is now very safe as most of the software’s available for this come with a built-in security system which can be configured according to your requirements. So now you and your employees will be able to deliver the best results to your customers without the need of using any high-end technology or hardware’s. Thus, the cost of running your business will reduce significantly as most of the tasks will be done of the virtual network itself.